HQ Trivia prize pots are about to get a lot bigger as the live trivia show brings on its first corporate sponsors and advertisers. 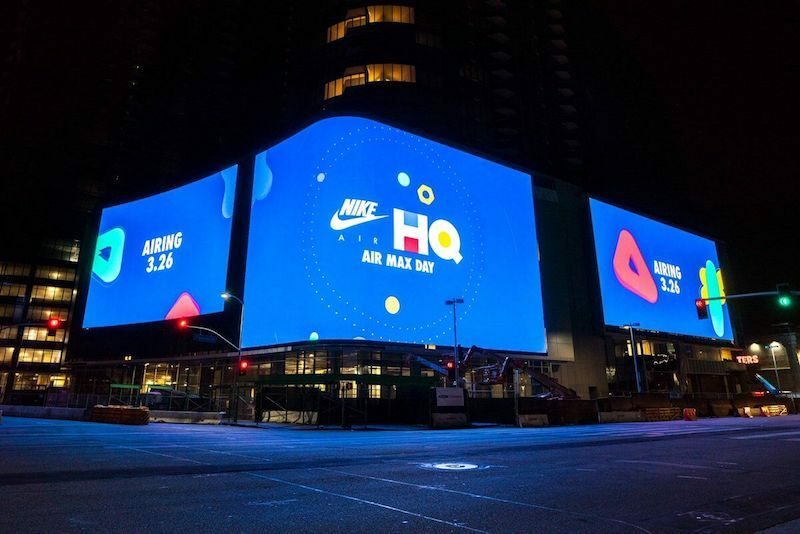 To celebrate Nike's Air Max Day today, for example, HQ will be hosting a surprise 15-question game with a shared $100,000 prize. It appears this will be a bonus round in addition to the regular games at 3 p.m. and 9 p.m. Eastern Time, so players will need to keep an eye on their iPhones for a notification at any time. A spokesperson for HQ told MacRumors that the game will also feature "a prize that money can't buy" for 100 winners. Based on promotional tweets from HQ and Nike, the prize could be limited edition pairs of Air Max shoes. Then, on Wednesday at 9 p.m. Eastern Time, HQ will be hosting its biggest game yet -- a $250,000 prize pot -- sponsored by the upcoming Steven Spielberg film Ready Player One. Over the weekend, Ad Age reported that HQ inked a $3 million deal with studio Warner Bros. to promote three films in total. HQ's largest jackpot to date has been $50,000, won by a single player on Sunday night. The game's record high for players is nearly 2.2 million, set on the evening of Sunday, March 4, during the 90th Academy Awards. HQ's standard prize amount was recently raised to $5,000, which is often split by tens if not hundreds of players, in which cases each winner ends up with a small prize like $5 or $10. It's unclear if every round of HQ will eventually be sponsored, or if the larger jackpots will only take place periodically. For those unaware, HQ is a live trivia show that launched on iPhone in August, and on Android around New Year's Day. In a standard game, players attempt to answer a series of 12 questions correctly to win a cash prize. To reduce cheating, players have less than 10 seconds to choose one of three answers. The show is hosted every day at 9:00 p.m. Eastern Time, and at 3:00 p.m. every weekday, most often by comedian Scott Rogowsky. A valuable tip: you can swipe right on the chat to hide the endless flow of comments. If you haven't played HQ yet, you can download the game from the App Store and sign up for free. The app is also available on Google Play. Better get rid of SCOTT first. All potential new players who might hear about this and sit through one round on SCOTT'S non-stop chitter chatter talk fests will leave FAST. He tries too hard to be super cool, super hip, and super funny and fails at all three... consistently. Get a new host who talks 95% less and they'll be on the right track. You're insane, Scott is the best. None of the guest hosts even come close. Scott is the best, I keep watching just for Scott even after I've been eliminated. Quiz Khalifa all day. Don't lose heart, I'm sure someone will come up with a "grandpa edition" with Wilford Brimley or something. With Werther's Original as prizes instead of cash. Completely agree, I put the thing on mute in the beginning because I know for 5-10 minutes before the game is supposed to start he will be droning on and on about stupid ****, with some "super kewl" Millennial references peppered in nonsensically. I find him really annoying. Any other host would be #NotMyQuizDaddy. Anyways, I don't like the winner-take-all that they've started doing Sundays. I never win anyways, but I've made it to round 10 or so before... that was close and felt close. Making it winner take all dramatically reduces my odds of actually winning anything, so I don't like playing those games. Will this special $100K game be winner take all? I'll give it a shot if not. Otherwise, eh, won't bother. Love HQ! Good for them. Just hope it doesn't go too ad-crazy. I understand the need for some sponsorship, just keep it amusing & reasonable plz. Have you even played recently? I understand in the beginning he used to ramble on and on, I hated it too. Found out that anytime he is rambling its because the app/ servers were overloaded and he needed to stall. Game used to not start until 5 or 10 past. Now its pretty consistent of starting at (or very close to) the top of the hour, and Q1 starts within 2 minutes of that.